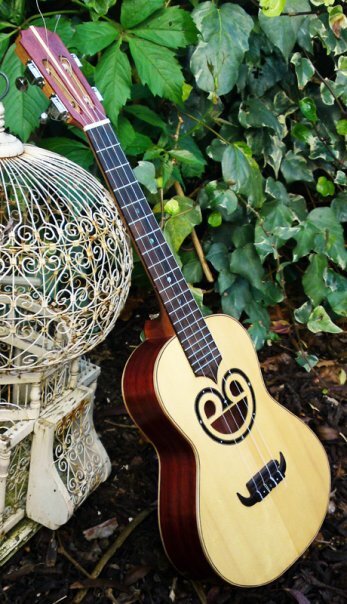 My Concert ukes are made from a wide range of materials but I always use spruce for the tops. Since moving to Argentina I have started using locals woods as much as possible for the backs and sides these include Elm, Cypress, Walnut, Ossage Orange, Algarrobo (mezquite) as well as woods from other regions of the country principally Guayubira which is a very distinctive pretty hardwood. My Ukuleles are very playable with a resonant and loud voice great for both strumming and picking.